WESTPORT — Emergency response personnel put on demonstrations at Sherwood Island State Park on Monday afternoon to showcase regional emergency preparedness and assets that can be shared across area towns in the case of a disaster. The Region 1 Emergency Planning Team hosted the field day event on Monday to exhibit the equipment, training and planning the team has coordinated for collaborative emergency response across its 14 towns. “It’s a great event to showcase what is available in the region for all the leaders in the region that might need to use them,” Lt. Terrence Blake, a Norwalk police spokesman, said. More than 300 guests signed up for the event, according to Blake, chairman of the team’s public information unit. Guests including first responders, command staff, town executives and other town personnel such as public works and health departments and Board of Education staff. In the past, the Region 1 Emergency Planning Team and its resources have helped in situations such as Superstorm Sandy when resources could be pulled to the coastline, Blake said. Displays included Fairfield County HAZMAT trailers and gear, medical tents, Community Emergency Response Teams, multi-region Incident Management Team information and an animal ambulance, among others. 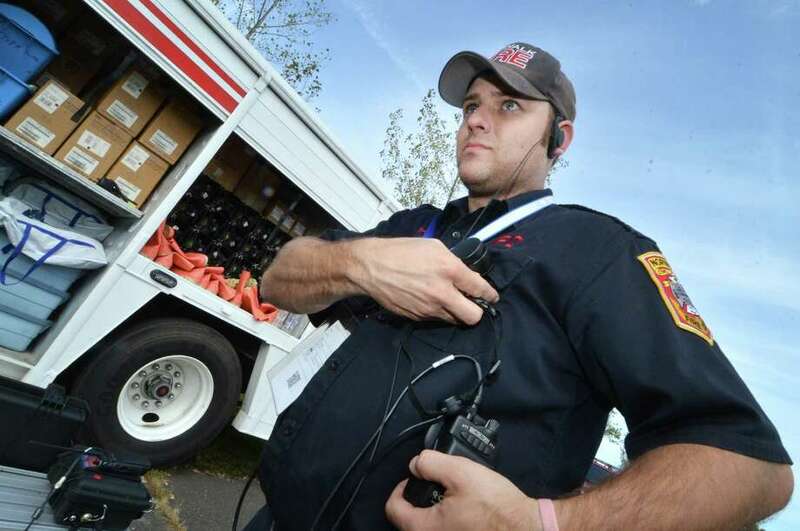 The field day was also used for equipment testing, including a check of the interoperable radio system used for communication across towns and their various emergency response teams. The Emergency Planning Team formally formed in 2007 as one of five in the state and has since received Homeland Security funding through the state’s Division of Emergency Management and Homeland Security. The team also receives other federal and more local funding, Region 1 Coordinator Robert Kenny said. The program intends to maximize mutual aid capabilities across the region, Kenny added.